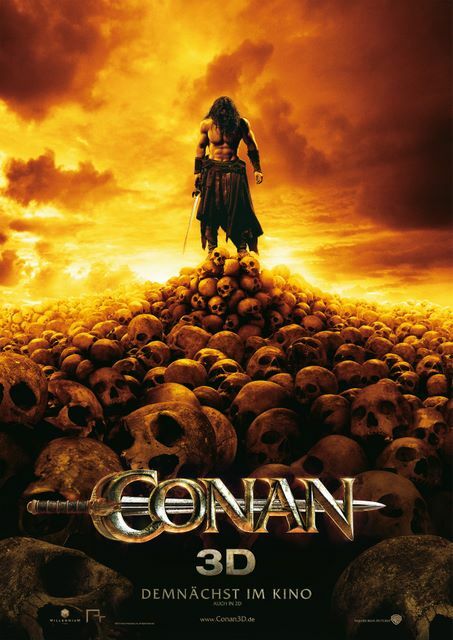 I don't know much about the Conan relaunch, except for a handful of guff about the franchise itself and the feeling this 3D number will be one of those great action films that ends up being the one you watch every time you can't decide what you feel like chucking on. Heck with a poster like this, you'll probably end up pulling the DVD out of the rack just to look at the cover. Thank you for the trailer. Thanks for the comments folks - I have to say I'm pretty hopeful for this! I think Bleeding Cool said it best - it looks like a remake of The Scorpion King! I have seen this movie. Conan is really one of the great action and fantasy movie. As the adventures concept of this movie really makes me crazy about it. Thanks for sharing some magnificent poster of this movie.